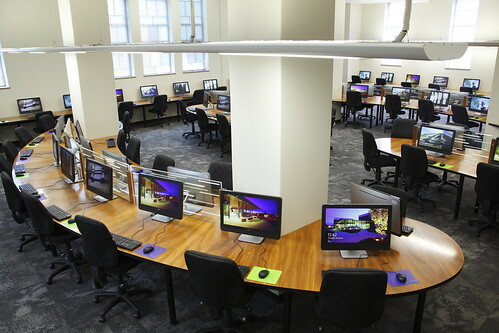 The Duhig tower has study spaces with library computers and a postgraduate study area (level 4). It connects to Central Library via the Duhig Link on Level one. The Fryer Library, including quiet study space, is on level four. The Centre for Digital Scholarship is on level five. Community members and visitors can access the Duhig Tower from 7am-10pm, Monday to Friday, and from 7am-6pm, Saturday and Sunday. A UQ ID card is required after hours (10pm-7am) to use 24/7 spaces.